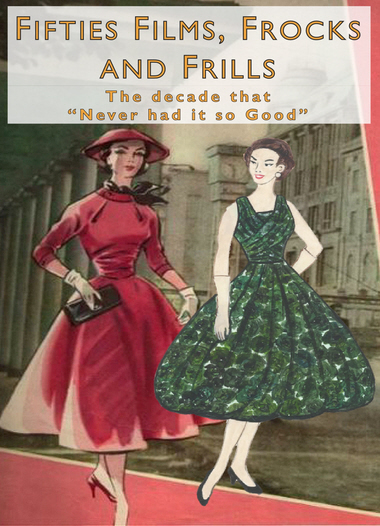 Fifties Films, Frocks and Frills attempts to give a snapshot of life in Middlesbrough during the decade that saw an end to austerity and rationing and witnessed a resurgent interest in fashion, inspired in part by the Hollywood glamour seen on the silver screen. 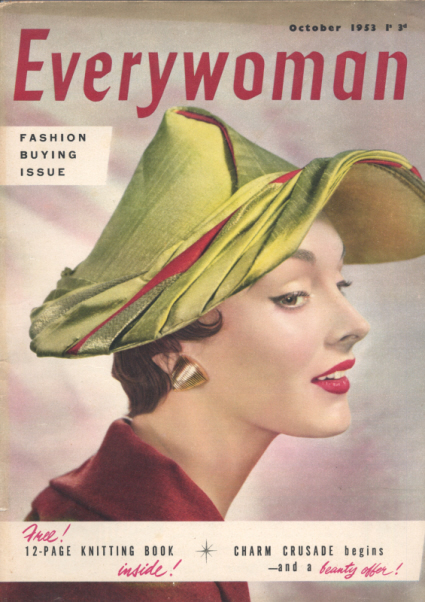 Using objects from the Dorman Museum collections we have looked at some areas in more detail, especially women’s fashions of the time, contemporary design, the consumer boom and the development of new housing, all of which had a significant impact on the character of the period. 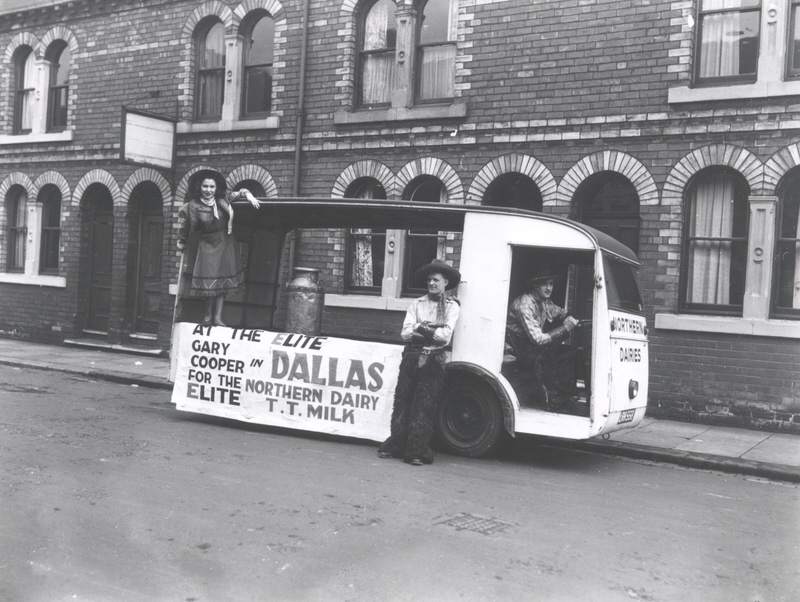 The theme of this exhibition was inspired by a collection of over 200 photographic prints and negatives taken by Mathers of Middlesbrough during the 1950s. The majority of these images relate to various shop window displays, elaborate foyer constructions and costumed stunts performed to promote the latest film releases. 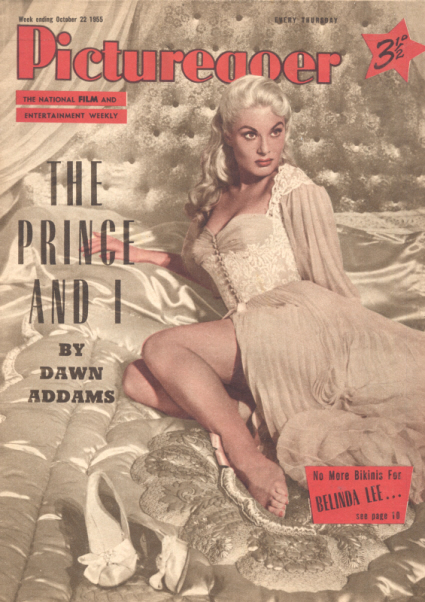 Cinemas were involved during the Fifties in a battle for supremacy in the hearts and minds of the British public with the television sets that were becoming more and more widespread. 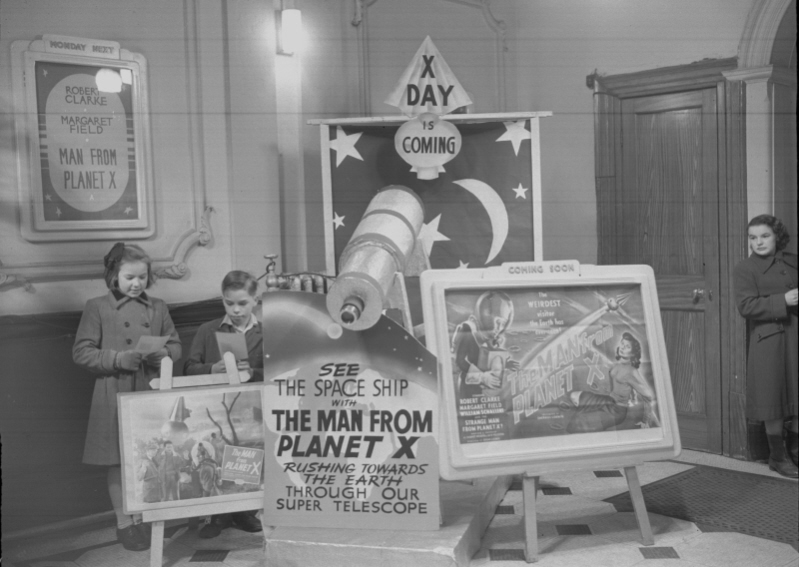 From these photographs it would appear that the cinemas of Middlesbrough were prepared to go to extraordinary lengths to attract the public’s attention and encourage them to seek entertainment away from the comfort of their own homes. 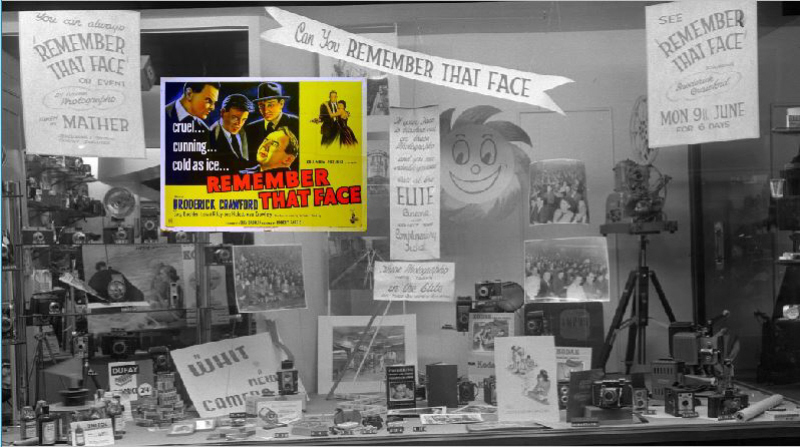 Mathers had a photography studio at 140 Linthorpe Road, ideally situated between the Gaumont and Elite cinemas to record their weird and wonderful promotional exploits but also to use the film releases as inspiration for their own window displays. Although she trained and had a successful career as a hairdresser, painting has always been her passion. Since retiring she has had more time to devote to it. The diverse landscapes of the north are prominent in her work from the grandiose industry to the dramatic coastline and sublime countryside. 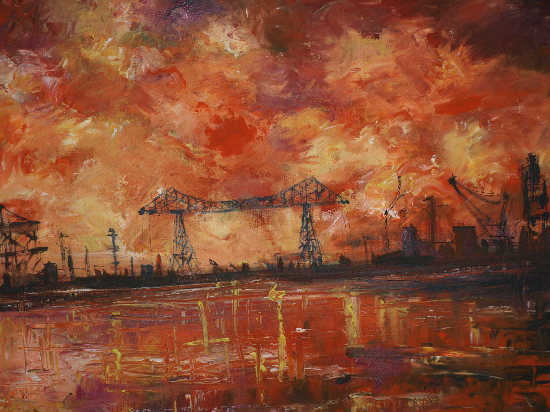 A recurrent theme is the Transporter Bridge which was near to her childhood home. She manages to capture it in all its glory with her colourful and energetic mastery of paint. Barbara has exhibited extensively and is the recipient of many prizes. She was a contestant on Sky Arts Landscape Artist of the Year 2018 and has been asked back this year.